The benefits of weight loss in treating diabetes have always been at the forefront of diabetes care, particularly for those people with type 2 diabetes who are overweight or obese. Excess weight can increase inflammation and make blood sugars harder to control by causing insulin resistance. The American Diabetes Association states that, "There is strong and consistent evidence that modest persistent weight loss can delay the progression from prediabetes to type 2 diabetes and is beneficial to the management of type 2 diabetes." But, what if losing weight could actually help to reverse type 2 diabetes altogether? Researchers of the Diabetes Remission Clinical Trial (DiRECT) discovered that after 12 months of intervention, 46 percent of participants were able to achieve remission of type 2 diabetes through weight loss versus only 4 percent in the control. They also found that the more weight lost increased remission (defined as achieving an A1c of less than 6.5 percent without diabetes medication) of type 2 diabetes. Medical Director of the Diabetes Alliance and Telediabetes Lead at The Mount Sinai Hospital and endocrinologist, Dr. Noga Minsky says, "The takeaway point, which offers so many people out there hope, is that diabetes is reversible with weight loss. These results contrast previous studies comparing bariatric surgery to lifestyle changes or medical management, where non-surgical treatment did not lead to remission of diabetes in any patients treated non-surgically after two to three years." Additionally, Minsky says, "It was promising that diabetes was reversed successfully even in patients who had diabetes for six years, but it is important to note that patients who were treated with insulin were excluded from the study." This study does provide so many people with diabetes hope in that, even if they've had diabetes for some time, losing weight can help them achieve blood sugar control and get off medication. So, How Did the Participants Lose Weight? If losing weight was easy, then the weight loss industry wouldn't being taking in billions of dollars a year. Weight loss and weight maintenance can be difficult. An important step to success is finding a plan that you can stick to. It's also extremely helpful to have health professionals modifying your diet and keeping a close eye on your intake. Having supervision not only helps you stick to the plan, but it also helps to eliminate some initial meal-making choices. In this particular study, participants followed a total diet replacement (825–853 kcal/day formula diet for three to five months), stepped food reintroduction (two to eight weeks), and structured support for long-term weight loss maintenance. The first three months consisted of a very low calorie diet, which can be difficult to stick to without feeling hungry and deprived. Before making such drastic changes in caloric intake, it's best to meet with a health professional so that you can figure out what type of meal plan will produce enough of a calorie deficit to help you lose weight and keep you full and satisfied. Receiving continuous education will enable you to learn how to eat on your own, so you don't gain the weight back. How Much Weight Must Be Lost for Diabetes Remission? As with many aspects of diabetes, criteria for weight loss percentages will likely need to be individualized. In this particular study, participants who lost the most weight had a higher rate of remission of diabetes. Weight loss varied among participants, ranging from about 11-33 pounds (5-15 kg) and averaging around 22 pounds (10 kg). It is unclear what percentage of their body weight this equated to. The American Diabetes Association suggests that a 5 percent loss of initial body weight has been shown to improve glycemic control and to reduce the need for glucose-lowering medications. Additionally, a 5 percentage weight loss is needed to improve glycemic control, lipids, and blood pressure, and a sustained weight loss of 7 percent is optimal. For a person weighing 200 pounds, a 5 percent weight loss would yield 10 pounds and a 7 percent weight loss is 14 pounds. Of course, the amount of weight loss needed to reduce A1c to less than 6.5 percent will vary from person-to-person, but a 5 to 7 percent weight reduction is a reasonable start. We have a seen a correlation between depression, obesity, and diabetes. Losing weight and improving glycemic control has been associated with improved energy, better sleep, and better overall health. This study suggests that weight loss also improves quality of life. Quality of life (QoL) was assessed using the EuroQol 5 Dimension analogue scale. Intervention participants gained an average improvement of 7.2 points on the QoL scale compared to a drop of around 2.9 points for controls (adjusted difference 6.4 points, 95 percent CI 2.5-10.3, P=0.0012). How Can I Jump Start My Weight Loss? For starters, you'll want to meet with a professional, such as a dietitian or certified diabetes educator to help you design an individualized meal plan that fits into your lifestyle and provides you with foods that you like. If you'd like to get jump started right away, perhaps a good place to start is to swap one-to-two of your meals with a meal replacement. The American Academy of Nutrition and Dietetics states, "meal replacements containing a known energy and macronutrient amount are a useful strategy to eliminate problematic foods choices and/or complex meal planning while trying to achieve a 500 to 1,000 energy deficit." This helps to control calories and adds convenience, which is key to long term success. Studies have also shown that those persons with type 2 diabetes who lose about seven percent of their body weight in one year, consistently report medication reductions when using meal replacements. It's important to note, however, that in these studies, people were still exercising, keeping food diaries and learning about nutrition. You can also try a meal delivery system to help simplify things for you. Today, there are so many options. Recently the American Diabetes Association partnered with Chef’d to provide easy-to-prepare recipe kits for people with diabetes inspired by the American Diabetes Association’s award winning cookbooks. For some, losing weight is the easier part—it's keeping the weight off that remains most challenging. Once you've lost a considerable amount of weight, your resting metabolic rate is reduced and you need less calories to maintain your weight. During this time, support is critical. You'll need both support within your home, as well as professional support—your primary care physician, certified diabetes educator, registered dietitian, or health coach. Weight regain will only result in the need to go back on diabetes medication and oftentimes people who've lost weight and regain it, will gain more than before. This makes if harder to lose weight again—and is very discouraging. In efforts to prevent this from happening, it's important to choose a meal plan and diet strategy that is practical and sustainable. Continued movement will also be pivotal in creating a calorie deficit and building of lean body tissue to increase metabolism. Ideally, you'll want to do a combination of cardiovascular and weight resistance exercise. Weight resistance exercise will help to increase your resting metabolism (the amount of calories you burn just living), which becomes increasingly important as we age when are metabolism is slowing down on it's own. In addition, you'll need to constantly keep yourself accountable. The participants in this study were provided with structured support for long term weight maintenance. Structured support can take place however works best for your and your lifestyle. Whether you have exchanges with your health care team in person or using some sort of application—the options today are endless. Telemedicine is making disease management easier—technology gives your healthcare providers the ability to reach—and help you wherever they may be. It's important to take advantage of your resources. Ask your primary care physician if they are using any technology to manage their patients or if they work with a registered dietitian, certified diabetes educator, or certified health coach so that you can recruit a support system and implement a strategy for long term weight loss. What Can We Do With This Information for the Future? This study provides us with even more information as to how important weight loss is for diabetes prevention, treatment, and management. 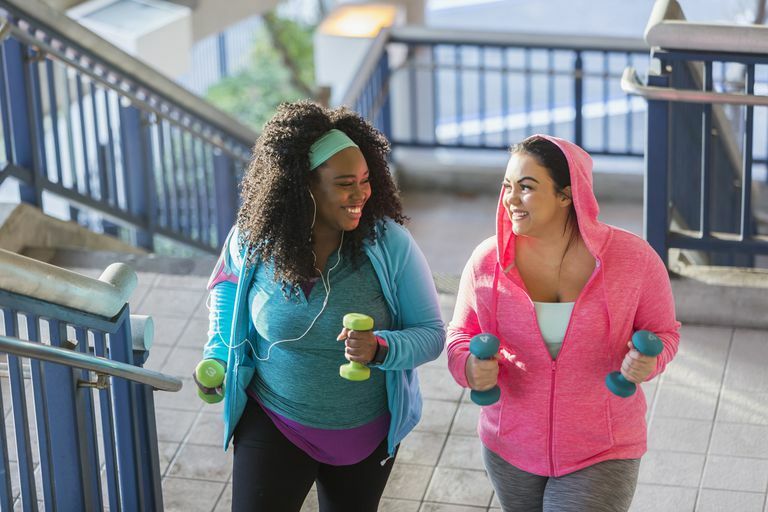 According to these researchers, weight loss should be the top priority in type 2 diabetes treatment, following the main goal of disease prevention at a population level. The belief is that, instead of jumping to diabetes medications to manage the disease, a non pharmocological approach which highlights weight loss should be re-emphasized. And even if weight loss didn't result in the normalization of blood sugars, lifestyle changes such as a healthy, well balanced diet and exercise regimen remain critical in normalizing blood sugars. People with diabetes should be encouraged by this study. However, it's important to note a few things here: Weight loss isn't easy and neither is weight maintenance. Dr. Minsky says, "The durability of these outcomes over the next four years of planned follow-up will be consequential, especially given that weight regain after dieting is so common." Support is essential and constant follow-up are some of the keys to losing weight and keeping it off. Minsky agrees, adding that "patients encouraged by this study to lose weight in order to reverse their diabetes are recommended to do so with professional support to ensure proper nutrition and assistance with medication adjustment." Lean M, et al. Primary care led-weight management for remission of type 2 diabetes (DiRECT): an open label, cluster-randomized trial." Lancet. 2017: DOI:10.1016/ S0140-6736(17)33102-1. J Am Diet Assoc. Position of the American Dietetic Association: Weight Management. 2009;109:330-346. Verdi, Cassandra. Making a meal of it; lower-calorie shakes or bars can be part of a safe weight loss plan. Diabetes Forecast. October 2014; 62-63. Could Eliminating Carbs Be the Key to Controlling Diabetes?